The following article appeared in the NY Review of Books 2/12/09 issue, written by the Pulitzer Prize-winning journalist Russell Baker. As America plunges into a deep recession which leading leading economists (including Nobel Laureate Paul Krugman) believe could resemble the Great Depression in severity, it’s worth taking stock of the President who grappled with that disaster. President Obama is reported to be reading FDR’s biography. Perhaps many of us should be reading this man’s biography. If there are lessons to be drawn from the 1930s, Baker’s article is a useful beginning for discovering what they might be. The Editor. 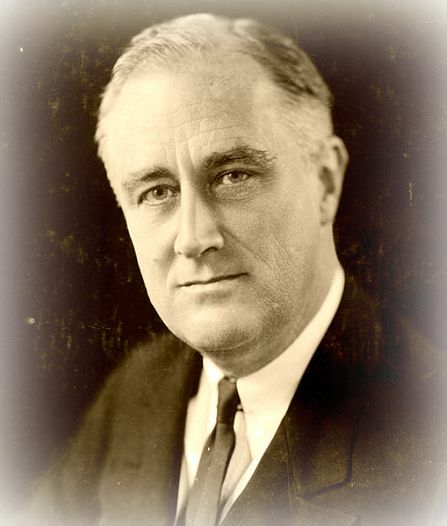 Few expected very much of Franklin Roosevelt on Inauguration Day in 1933. Like Barack Obama seventy-six years later, he was succeeding a failed Republican president, and Americans had voted for change. What that change might be Roosevelt never clearly said, probably because he himself didn’t know.